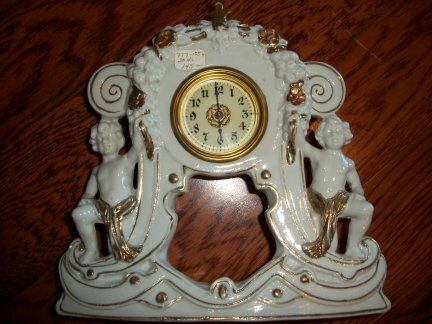 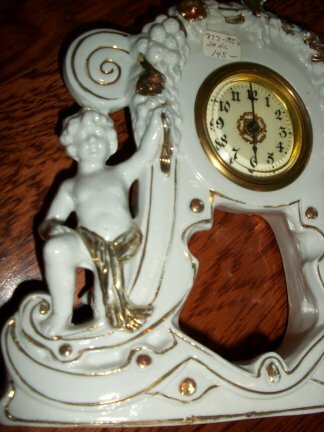 This is a miniature figural china clock. 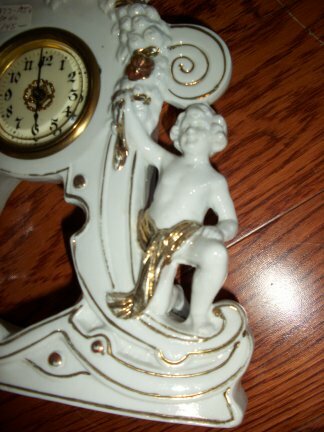 The movement is a 30 hour time only balance wheel movement. 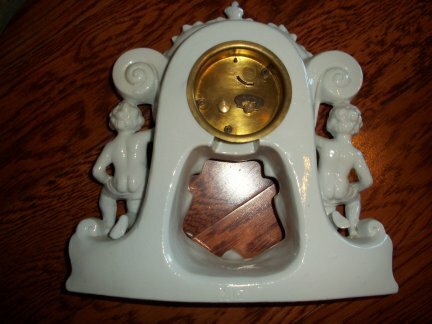 The face is porcelain.